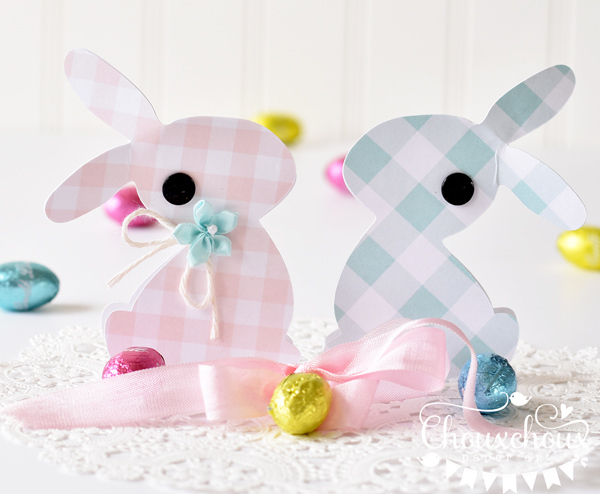 Need a really cute, really quick decoration or mini card for Easter? Here's the answer: Bunnies! These bunnies are super quick - especially if you download the SVG file. 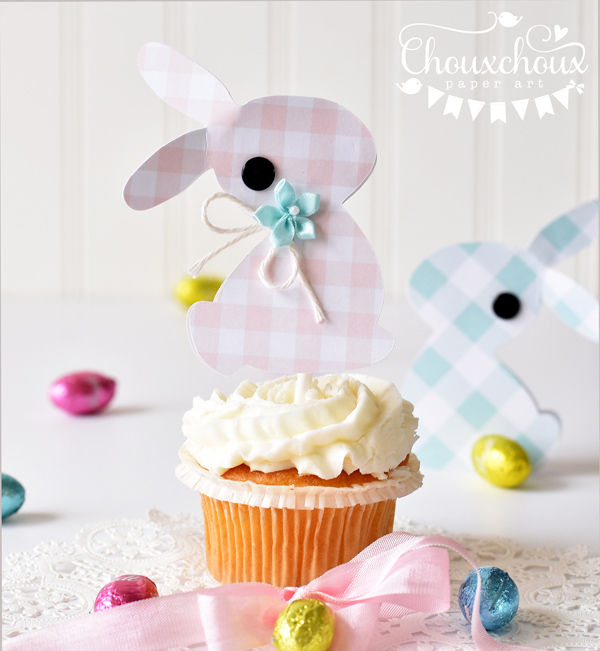 you've got a darling cupcake topper! 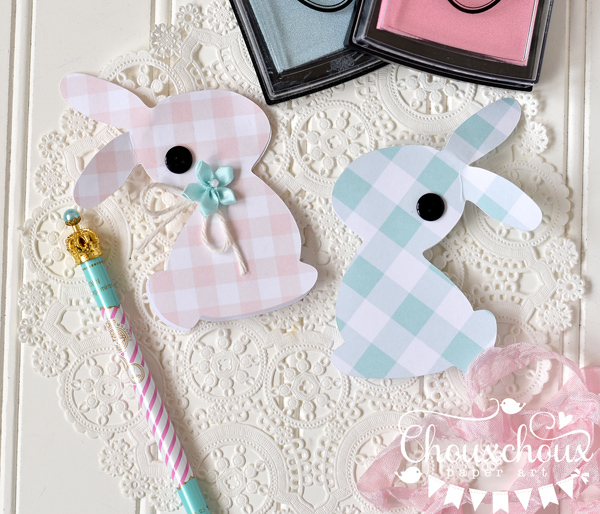 Would you like to create the sweetest mini cards? They're perfect for that too! Just stamp an Easter greeting inside. 1. For all three projects, you'll need 2 bunnies. They need to be facing opposite directions so that you have a front bunny and a back bunny. Mix them up using different patterns on the front and back. 2. 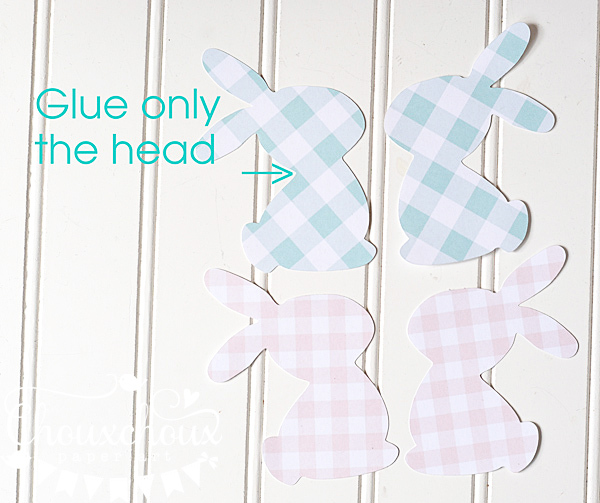 Also for all three projects, glue the front and back bunnies together only at the head. Stop the glue at the neck. To make the bunnies stand, just spread the bottoms out a little. 3. 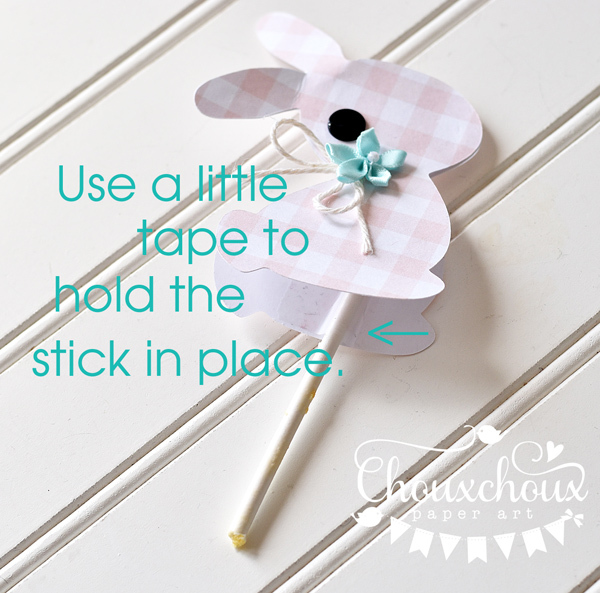 For the cupcake topper, just add a lollipop stick (or straw). I just used a little tape to hold it in place. To download the bunny svg file, click HERE. To download the bunny printable templates (one each direction), click HERE. By the way, this is my first SVG. Cool! I'm thinking a darling banner made with these bunnies...maybe next year! My 5th challenge is on - but it's quick - you have to link up by March 27th! See all the info HERE or just scroll down one post. Absolutely darling--love the pink & blue gingham! So sweet and cute! And very easy to make, thanks for the image! Cute! Thanks for the bunnies, xoxo. These are so cute Lori - TFS. adorbs Lori! I would expect nothing less from you! I know I always say the same thing Lori but I want you to know that I am indeed looking and following! It's so cute. Very happy it comes in SVG format so I can do multiple cuts with my Cameo. Thank you! Girl + Black Kitty + Sweetness! Whoo's Lucky? Printable Tags and Image!